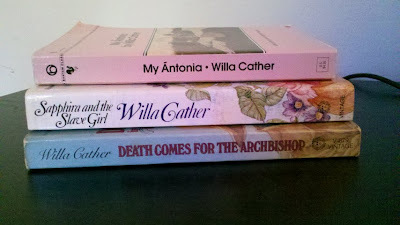 A Literary Odyssey: Blogversary Giveaway #4: Willa Cather. 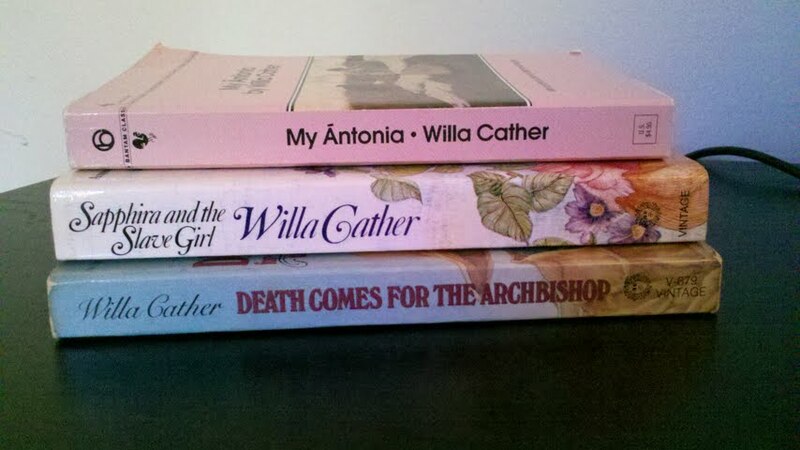 I would love to win some Willa Cather. Thanks Allie! I think the quality that defines Americans the most is work ethic. If we want something, we know we can get it through hard work - although sometimes to a fault. The first quality that jumps to my mind to describe Americans is "arrogant." Sometimes that's a good thing - like when we won't accept failure, and work to solve a problem. Sometimes, not such a good thing. What ONE quality defines Americans the most? Oh, I have been wanting to read her for ages! I'm so excited! What quality? I'd have to say our ability to pull together as one nation. I just came through Hurricane Irene, and when you see everybody, even states hundreds of miles away, stepping up without even having to be asked and helping, that just makes me beyond happy to be an American. I think the quality that defines Americans is that of free thinking. One quality that defines Americans the most? That's so hard. I would say either independence or not having a fear of speaking up when they feel like something isn't right! I love Willa Cather! I would say the defining characteristic is persistence. No need to enter me either, I just wanted to mention I just bought FOUR more Cathers on sale at Borders at my penultimate trip: A Lost Lady, Lucy Gayheart, Sapphira and the Slave Girl, and Alexander's Bridge. They were so cheap I couldn't pass them up. Number of unread Cathers on my TBR shelf: FIVE -- no, SIX. I shall quietly go into a corner of the library and hang my head in shame.